The Seattle School Board has chosen three finalists in the search for a new superintendent of Seattle Public Schools: Denise Juneau, Andre Spencer and Jeanice Swift. The district has posted bios online for all three candidates, and it’s an interesting list. All three candidates come from out of state. All three have classroom teaching experience and have spent time as educational administrators. It’s not an unimpressive list, and I credit the board for finding a diverse pool of interested applicants, but these three are hardly reflective of the “non-traditional” candidates the Board claimed to be seeking. I’m disappointed that we don't have anyone on this list coming from outside the traditional pathways to superintendency. Even more so, I’m disappointed that we won’t get to hear more from India Unwin, a 15-year-old Franklin High student who got some attention for submitting an application. 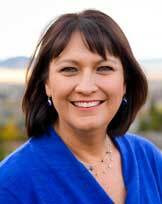 Denise Juneau recently served two terms as the Superintendent of Public Instruction for the state of Montana, becoming the first Native American woman ever elected to statewide public office in the process. Graduation rates increased statewide during her tenure, and dropout rates for Native students dropped by one-third. Prior to becoming superintendent, Juneau was the Director of Indian Education for Montana OSPI. She also has a law degree and has worked as an attorney in Montana. 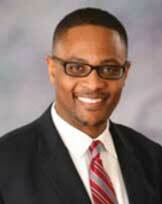 Andre Spencer is currently the superintendent of Harrison School District Two in Colorado Springs, Colo. He spent 13 years as a science teacher and administrator in Baltimore City Public Schools and was also a regional superintendent in Houston. He served four years in the U.S. Army as well. Jeanice Kerr Swift is, according to her bio, “a lifetime educator, having served as classroom teacher, teacher coach, principal, and school district administrator.” She is now in her fifth year as Superintendent of Ann Arbor (Mich.) Public Schools. Her bio is the only one of the three that contains no mention of working toward equity for all students, but that could be a coincidence. You never know. Seattle needs to be led to equity. We are not bringing ourselves there ourselves. That much we’ve proven. Let’s hope one of these three candidates is ready to step in and be that leader for our schools. We’ll start to find out what’s possible and what to expect from them at the public candidate forum on Thursday evening. See you there.